Alloy Metals and Tubes International is your partner for high alloy tubular products. With a large and diverse inventory of alloys and sizes, we are your source for your hydraulic and instrumentation tubing needs. Incoloy® Alloy 825 (UNS N08825/W.Nr. 2.4858) is a nickel-iron-chromium alloy with additions of copper, molybdenum and titanium. The chief characteristic of Incoloy® Alloy 825 tubing is its corrosion resistance; the alloy was designed with a specific chemical composition that provides exceptional resistance to many corrosive environments such as sulfuric acid, phosphoric acid, sulfur containing flue gases, sour gas and oil wells, and sea water. The nickel content in Incoloy® Alloy 825 provides resistance to chloride-ion stress corrosion cracking. The nickel, in conjunction with the molybdenum and copper, also gives Incoloy® Alloy 825 tubing great resistance to reducing environments, like those containing sulfuric and phosphoric acids. Aiding resistance to pitting and crevice corrosion is one of the chief benefits of the molybdenum. Resistance to a variety of oxidizing substances such as nitric acid, nitrates, and oxidizing salts comes from the chromium content. Titanium, often with heat treatment, serves to stabilize the alloy against sensitization to inter granular corrosion. 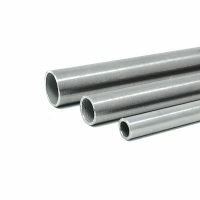 Incoloy® Alloy 825 tubing has excellent corrosion resistance. The possession of this resistance to both general and localized corrosion under diverse conditions is what allows this alloy to have a broad usefulness and wide range of applications, many similar to those of Incoloy® Alloy 20 tubing. Such applications include the handling of radioactive wastes, nuclear fuel reprocessing, pickling operations, acid production, oil and gas recovery, pollution control and chemical processing. This alloy offers exceptional resistance to corrosion by sulfuric and phosphoric acids and is often the most cost effective alloy in sulfuric acid service. Incoloy® Alloy 825 tubing is classified as a class ‘C’ alloy and is relatively easy to machine and weld. It is also easily hot or cold worked. 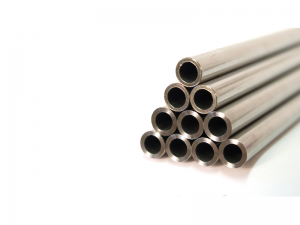 Alloy Metals and Tubes International, stocking and supplying Incoloy® Alloy 825 tubing to meet the diverse needs of customers in varied markets and applications, seeks to be your preferred quality supplier of Incoloy® Alloy 825 tubing. Contact us, or send us a request for a quote today.